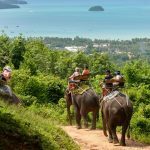 5 stunning new hotels in Phuket 2016 - Living + Nomads – Travel tips, Guides, News & Information! 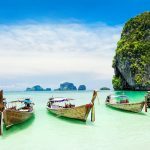 The powdery shores of Phuket have seen their fair share of luxury digs, but a new wave of beach hotels is cresting above the rest. Here, ASHLEY NIEDRINGHAUS calls out the island’s most compelling newcomers. 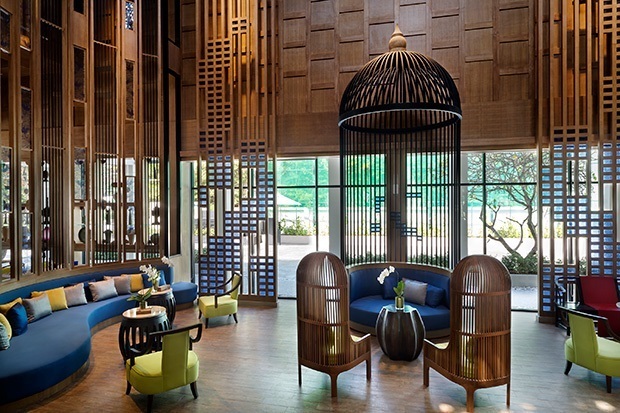 When the Manathai Surin owners enlisted the Thailand-based CDG design group, they wanted to integrate regional interior designs while avoiding the all-too-common pitfall of overloading the room with dark teakwood and Thai silk. The result: clean-lined, light-filled rooms that are tastefully Thai and not overwrought. 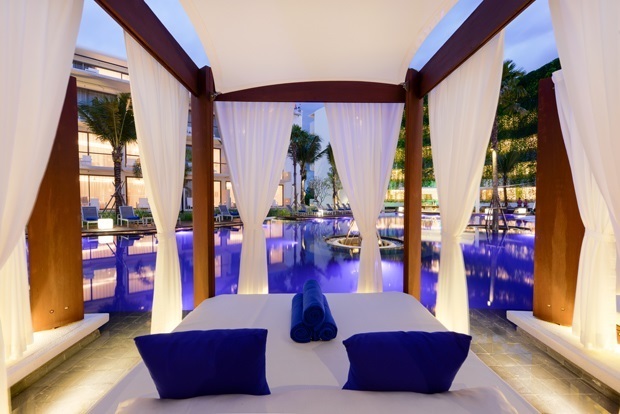 Lotus ponds surround the resort’s pool, and the pièce de résistance is the oversized birdcage sofa in the lobby, a nod to the Phuket custom of keeping nice-looking cages outside the home. 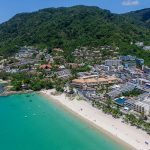 The hotel’s restaurant caters to mild-palated Westerners, but with a prime location on the upmarket Surin Beach, Phuket’s best eateries are easily accessible. Fish for flare at the Fishermen’s Harbour. Courtesy of Fishermen’s Harbour Urban Resort. The 390 spacious rooms have a relaxed weekend-away vibe and, despite their massive size, the property manages to mute the noise of nearby Patong to create a relaxing, family-focused retreat. 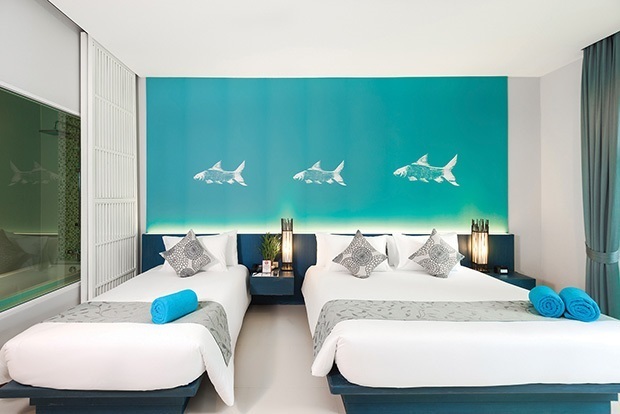 Rooms play to the area’s elements, with crisp white walls, marine blue accents and under-the-sea murals. Nearly 100 of the resort’s rooms are designed with families in mind, including bunk beds and a separate living room, plus access to youngster-friendly amenities, like a kids’ club, game room and bike rentals. Parents will enjoy the swim-up bar and well-appointed spa. The hotel’s organic farm sources herbs and produce for the three restaurants, which serve everything from teppanyaki to Halal to Thai. 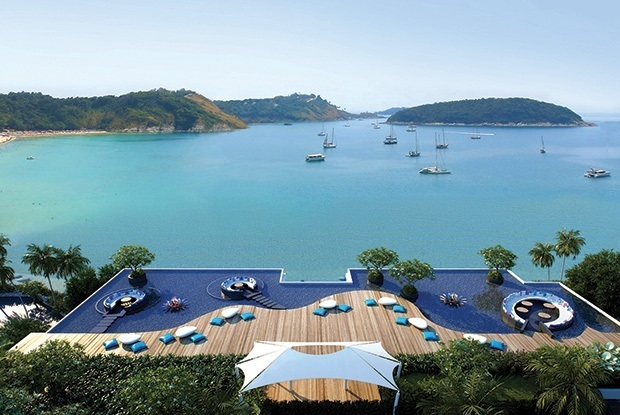 The Nai Harn’s 50-meter rooftop deck. Courtesy of The Nai Harn. This property has had many acts in its 30-year-old lifespan, but high-end beachgoers will be flocking here for the new Côte d’Azurmeets-the-Andaman vibe courtesy of the cerulean blue water, whitewashed walls and accents of punchy on-trend Pantone colors. In December 2015, the resort emerged from an 18-month overhaul and nabbed the exclusive honor of being named the island’s only member of The Leading Hotels of the World. 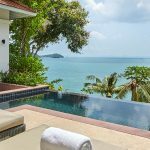 Airy rooms with heavenly beds have private balconies with four-poster sunbeds overlooking Nai Harn Beach and Bay, and the swish service extends from beachside butlers to an in-villa button expressly for champagne. Fancy something other than bubbles? Try the Lady Nai Harn, a signature cocktail made with indigenous Chalong Bay Rum, which was crafted by legendary barman Salim Khoury of London’s The Savoy Hotel, or peruse the wine list culled by expert James Suckling; you’re bound to find a bottle you’ll love. Pool Bar, an in-water bar stool at Dream Phuket. 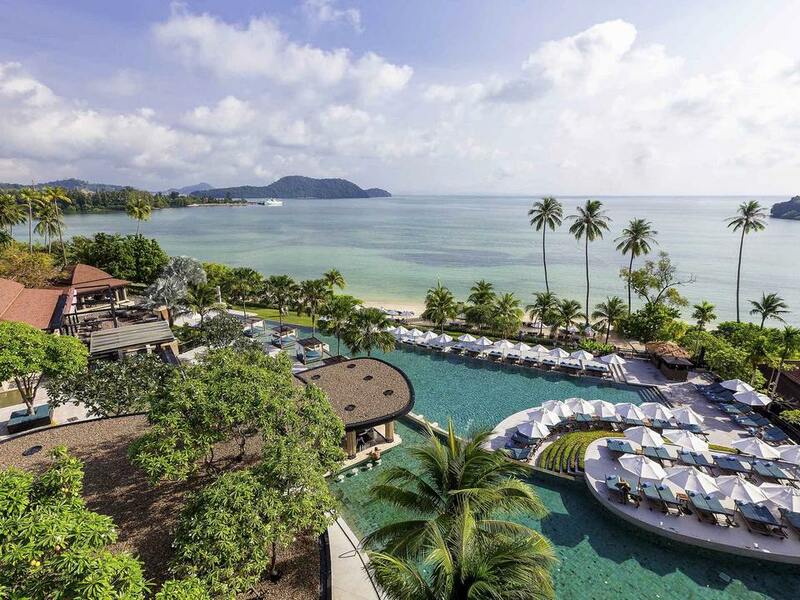 Courtesy of Dream Phuket Hotel & Spa. 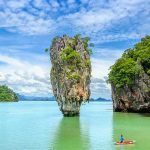 This resort, with its youthful hospitality, eco-friendly attitude, in-pool bar with top-notch spirits, and trendy beach club manages to appeal to almost every segment of traveler. The newest outpost from the folks behind the ever-popping disco ball of a hotel Dream Bangkok is a seaside knockout north of Bangtao Beach peninsula. Feast at Trilogy, a three-part restaurant with offerings of Thai, Tuscan and contemporary European foods crafted by three world-class chefs, or puff on an imported cigar and sip wine at the leather-clad Indulge lounge. Head off property to the nearby Dream Beach Club, the hotel’s tailor-made club on Layan Beach where in-house DJs spin beats and champagne flows freely. 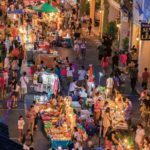 Looking for Phuket’s young and trendy? This is where you’ll find them Instagraming. 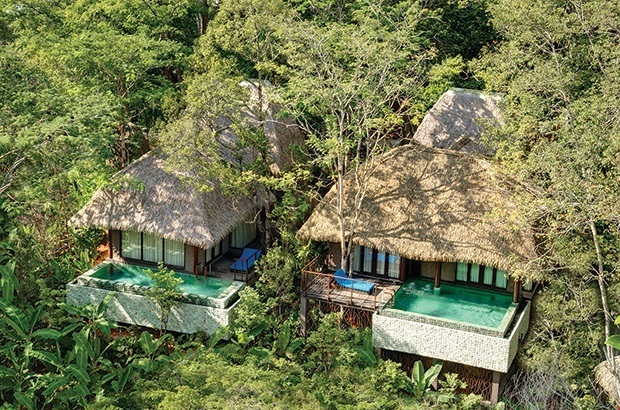 Cottages with private pools at Keemala. Courtesy of Keemala. The design-centric Keemala, built into the forested hills just up from Kamala Beach, is a welcome alternative to the district’s more traditional offerings. 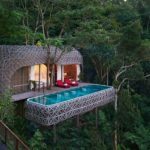 The 38 villas—grouped into cottages, tents, tree houses and bird’s nests—draw upon tribal designs paired with posh perks, like private plunge pools, outdoor showers, and deep soaking tubs with sea views. Spend an afternoon at the organic Mala Spa, where signature treatments incorporate a wide array of essential oils. 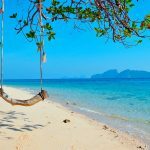 Honeymooners will find the proximity of neighboring villas to be a buzz kill to their privacy, but the staff is gracious, efficient and nearly invisible, so won’t interfere with anyone’s idyll.